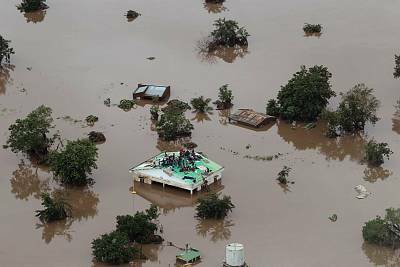 MAPUTO/HARARE — Mozambique started three days of national mourning on Wednesday after powerful cyclone winds and flooding killed hundreds of people and left a massive trail of destruction across swathes of southeast Africa. Cylone Idai, which hit Mozambique's port city of Beira on Thursday before moving inland, brought winds of up to 105 mph that flattened buildings and put the lives of millions of people at risk. Mozambique's President Filipe Nyusi said in a televised statement on Tuesday that the cyclone had killed more than 200 people in Mozambique but that more bodies were still being discovered. "Challenges remain in terms of the search and rescue of thousands of people, including children," UNICEF said. It estimated that 260,000 children were at risk in Mozambique. The Red Cross has said at least 400,000 people have been made homeless in central Mozambique alone. Beira, a low-lying coastal city of 500,000 people, is home to Mozambique's second-largest port and serves as a gateway to landlocked countries in the region. In eastern Zimbabwe, grieving families are rushing to bury their dead because the cyclone has knocked out power supplies and stopped mortuaries from functioning. Zimbabwe's Grain Millers Association said 100 trucks carrying wheat destined for Zimbabwe were stuck in Beira. 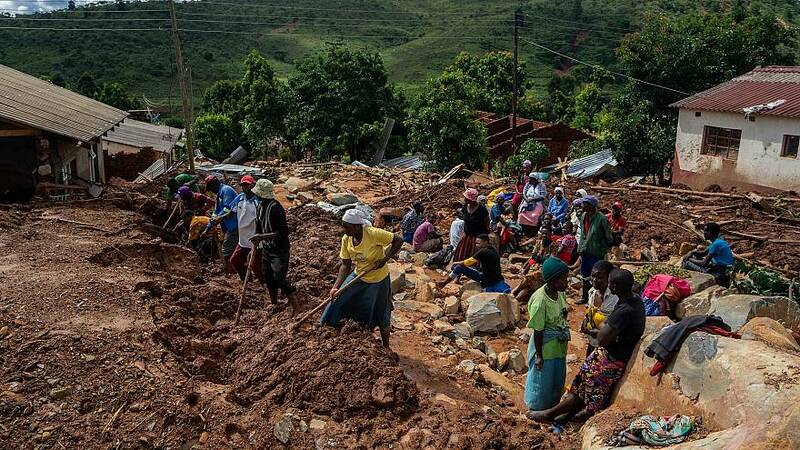 Studies of satellite images suggested 1.7 million people were in the path of the cyclone in Mozambique and another 920,000 affected in Malawi, said Herve Verhoosel, senior spokesman at the U.N World Food Programme said Tuesday. He gave no figures for Zimbabwe. The European Union announced on Tuesday an initial emergency aid package of $3.97 million to Mozambique, Malawi and Zimbabwe for emergency shelters, hygiene, sanitation and health care. Britain has also pledged $7.96 million in aid.